Frozen-pizza brand Goodfella’s has released a new advert that puts “a bit of a twist on the gangster genre”. The spot, created by Grey London, is set in New York late-20th century and follows the Godmother as she visits the headquarters of her family pizza business and sits down for dinner, which consists of a Goodfella’s pizza. After witnessing the moment one of his colleagues was dragged away by two of her bodyguards because she hadn’t like the sauce she had tasted, the waiter, who’s sweating with nerves by her side, is relieved to see that she’s giving a nod of approval. The soundtrack music is the 2015 heavy track “Fools Gold” by The Arcs, a band formed in 2015 by the Black Keys frontman Dan Auerbach. The song is included on the “30th Century Records Compilation Volume I”. The advert, part of a £4.2m campaign titled “Made with Respect” and launched on Monday, March 25th, marks the brand’s biggest marketing investment since 2016 and follows its acquisition in April last year by Nomad Foods, owner of Birds Eye. 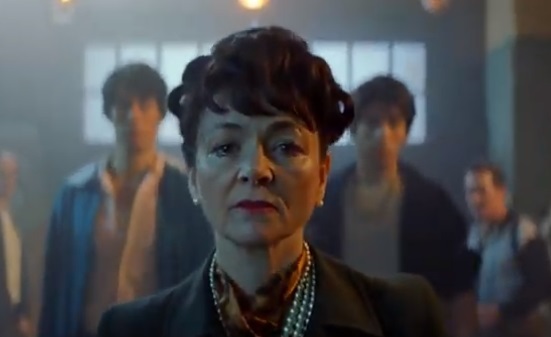 The character of Godmother was conceived as an “arbiter of quality” to drive home the ad’s tagline, “Made with respect,” according to Claire Hoyle, head of marketing for Goodfella’s.